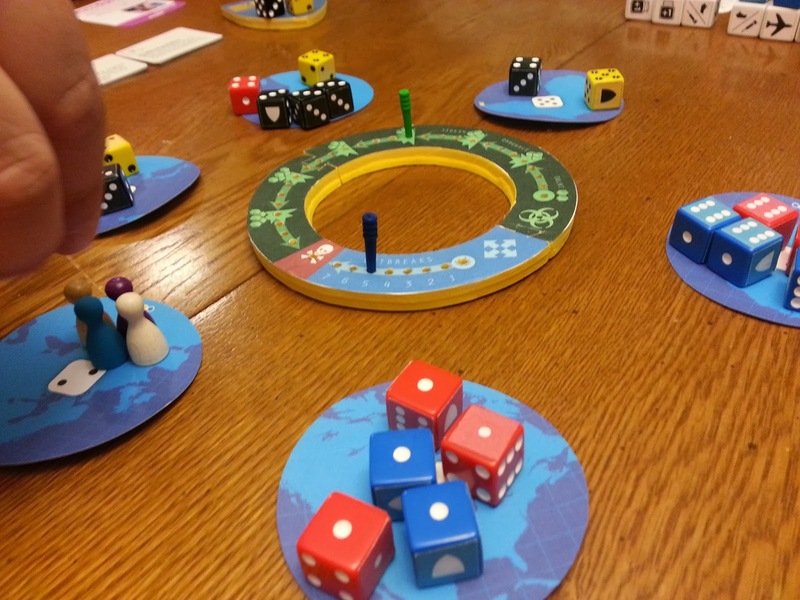 A couple nights ago I was able to play the only prototype in North America (says Daryl) of the new Pandemic dice game as well as a couple rounds of the upcoming delightfully vicious Kramer & Kiesling card game. P: TC was interesting to say the least. It felt a bit too busy and game-y for my tastes but the rest of the group seemed to really enjoy it. 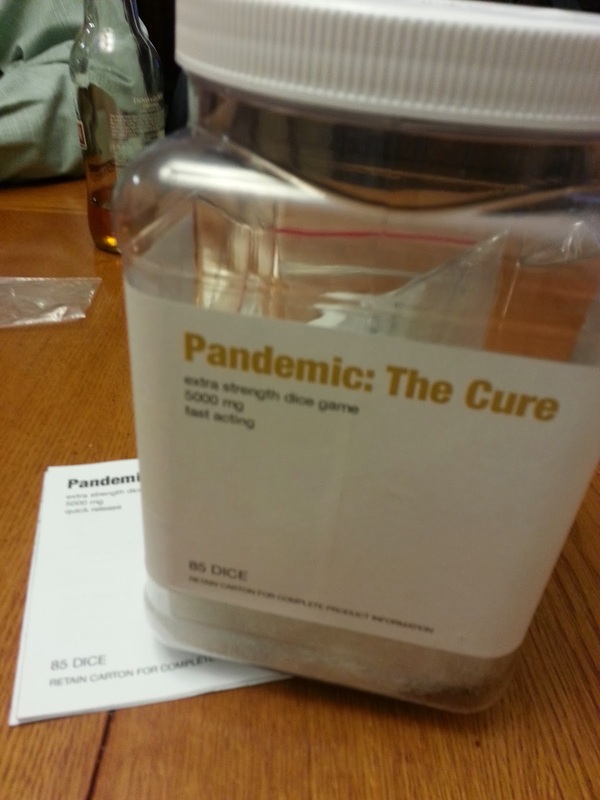 Surprisingly, it seems to run longer than a regular game of Pandemic. We definitely had some real rules questions throughout so I'll be curious to see if there are additions included in the final version of rulebook. 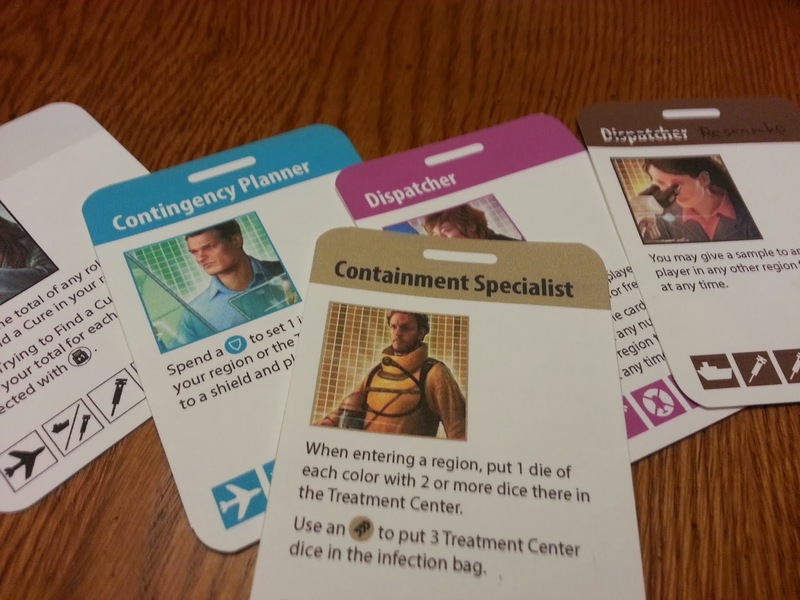 I also cobbled together a set of cards and give us an unofficial preview of AbluXXen (or Linko! in English) coming out soon. If you know Kramer, you'll remember he created the classic card game Take 6 (6 Nimmt!, Slide 5, whatever edition you call it). 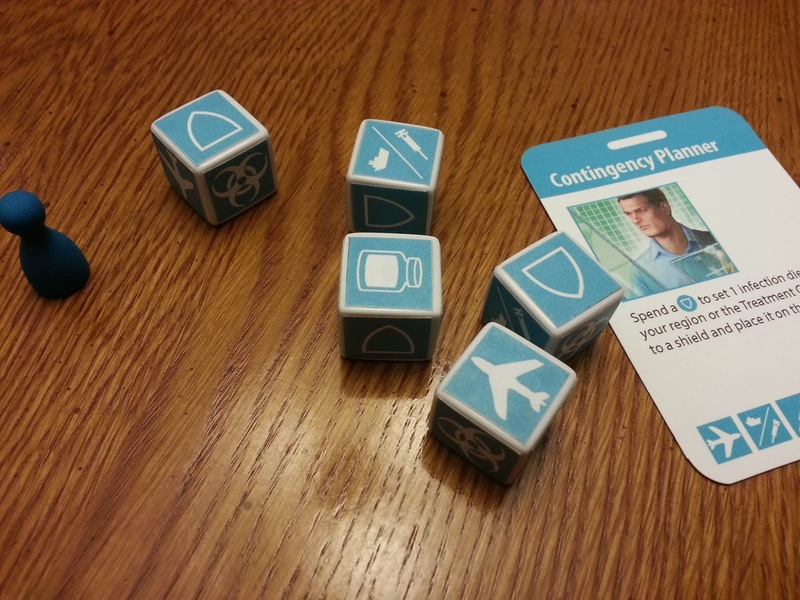 I believe this brilliant game will have the same staying power - it's nasty, easy to pick up, and much subtler than at first glance. Can't wait to get my hands on a real copy. 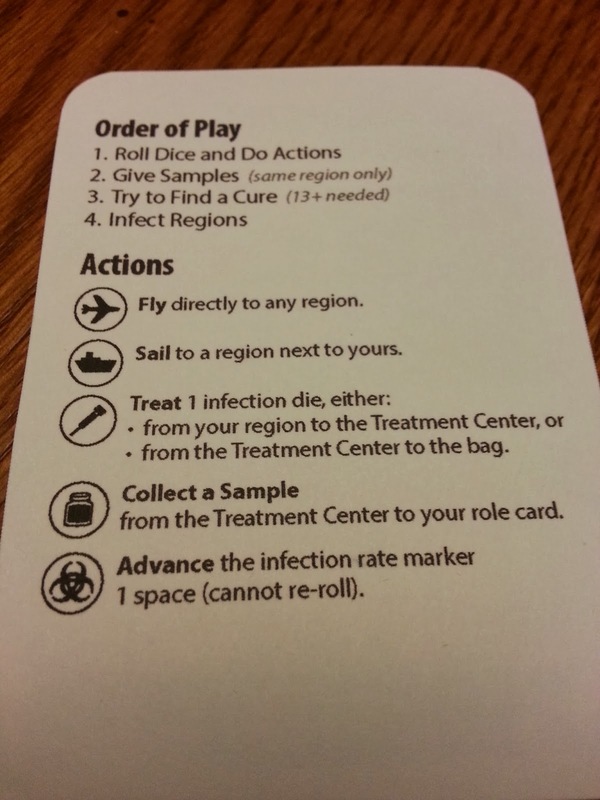 If you're interested in trying out the new Pandemic dice game and you're in Southern Ontario, Daryl will have the prototype at the Board Game Bash this coming holiday Monday (details are here or here). Yours truly will be explaining how to play the lovely Coal Baron, amongst other games, so definitely say hello.